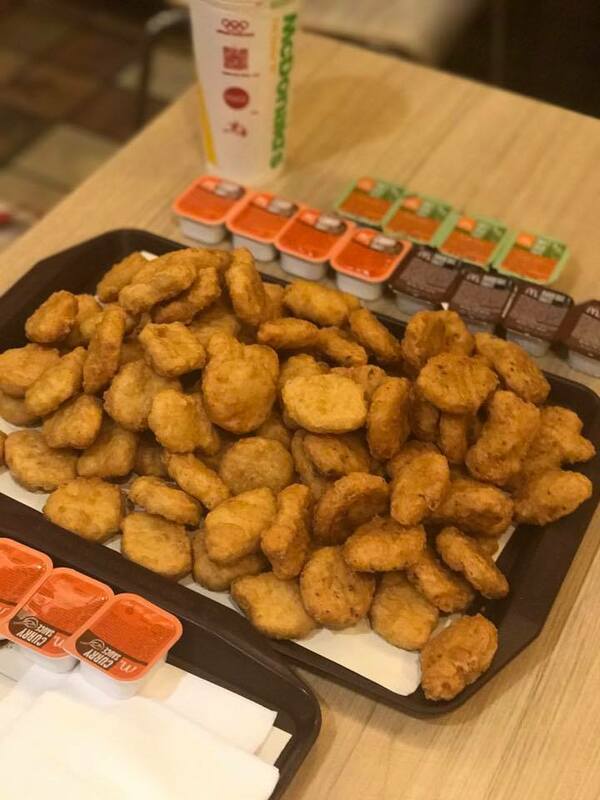 14 Thoughts That Went Through My Mind While Eating 100 Chicken McNuggets ~ Smithankyou - Lifestyle and Travel Photo Blog. It was a public holiday and instead of taking a break at home, my colleague and I decided to hit the office and get some work done. We were in the office since noon and weren't really hungry until 11pm. Which makes it pretty much 12 hours of fasting for us. We needed some food and because it was Hari Raya, none of the Indian Muslim mamak stalls that we usually visit were open. The next best thing we have nearby was McDonald's. Instead of being normal and ordering two extra-value meals, we decided to order 100 McNuggets. 3. 21 min - This should be easy. Should have ordered 200. 4. 22 min - I totally need to go on Instagram Live for this. Or would Facebook Live be better? WhatsApp story? Snapchat? I need to tell the whole world! 5. 24 min - This is so fun. I'm totally enjoying everyone's reaction. 6. 34 min - What? It has only been 10 nuggets? I'm sure I ate more. Do you think they gave us too many? 8. 55min - It has been 30 min? We spent 30min on nuggets?! AND WE'RE STILL NOT DONE!? 9. 60 min - Why is the mountain of nuggets NEVER ENDING? 10. 63 min - Is it me or am I not feeling my jaw anymore? 11. 70 min - COME ON!!! WE CAN DO THIS!! 13. 76 min - No...No...No...Okay. I'm sure I can still squeeze in a few more. 14. 80 min - OMG WE ARE SUCH FAILURES. SORRY MOMMY, SORRY DADDY, SORRY SON. Daddy has disappointed you. So it wasn't as easy as we thought. We only managed to finish 65 of them. Okay, you are welcome, McDonald's. Fun times aside, I have to warn you guys, it's not funny eating SO much. Yongwei had toilet runs throughout the night and my appetite was badly affected for 2 days. I had so much poop throughout the whole day as well - I never knew I could have such active bowel movements? I know nuggets are one of the best things in life (maybe not so now...) but remember, life is always about moderation. next step - SPICY NUGGETS X 100.